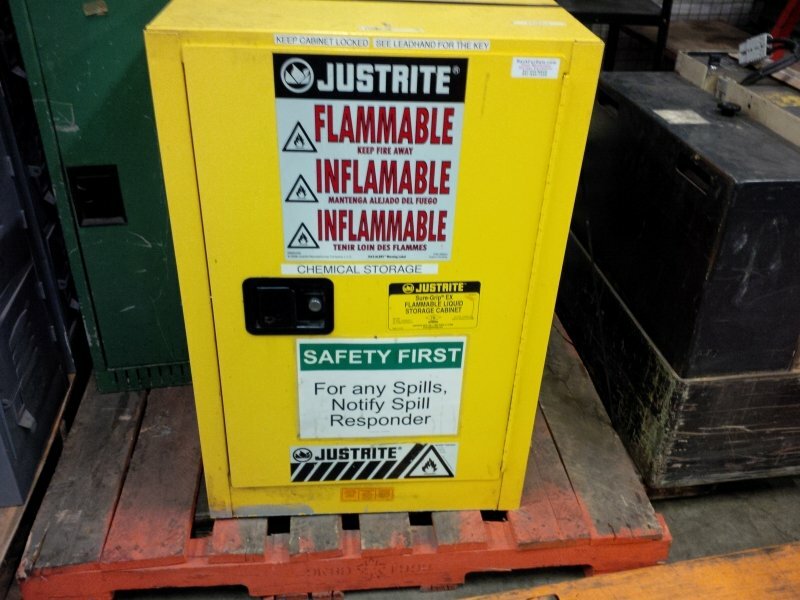 This Yellow Fire Safe Cabinet is good for storing aerosols, gasoline and other flammable liquids. 2 adjustable shelves included. 350 lbs. capacity per shelf. Secure cabinet with a padlock (not provided), as keys not available. Make sure you are following Occupational Health and Safety code and store your flammables right.